No, I am not a fashionista. My dress code is easy & comfy. I have no patience to queue up & fight for changing rooms in shops, so I love getting shoes, accessories and handbags to update my outfits. As shoes go, comfy and able to walk in are the keys, as my journey to work involves quite a bit of walking (one section is a 10 mins walk). Most nice looking pairs just don’t do the job. 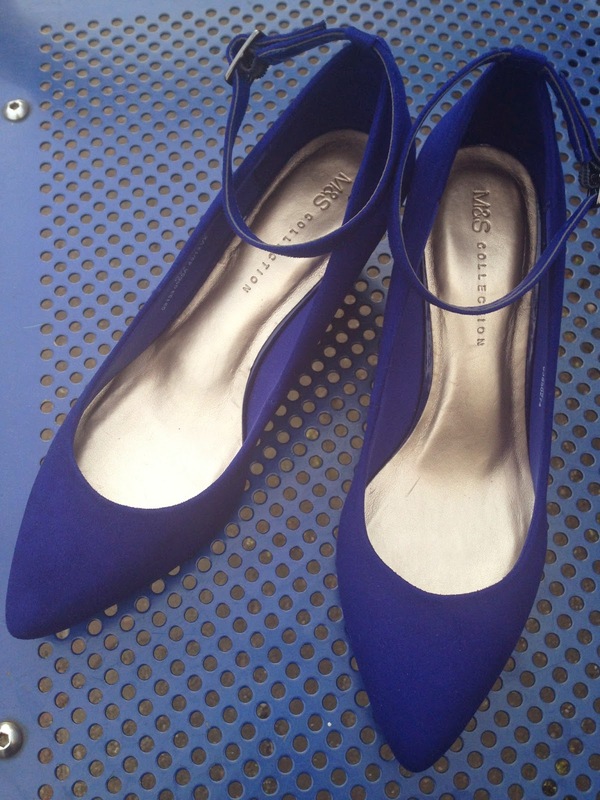 But recently I saw this beautiful pair of wedges from Marks and Spencer that just tick all the boxes!! They are made in faux suede materials, which is very soft to wear. They are with special Insolia sole, they make the ball of feet very comfortable, even wear for a long day. 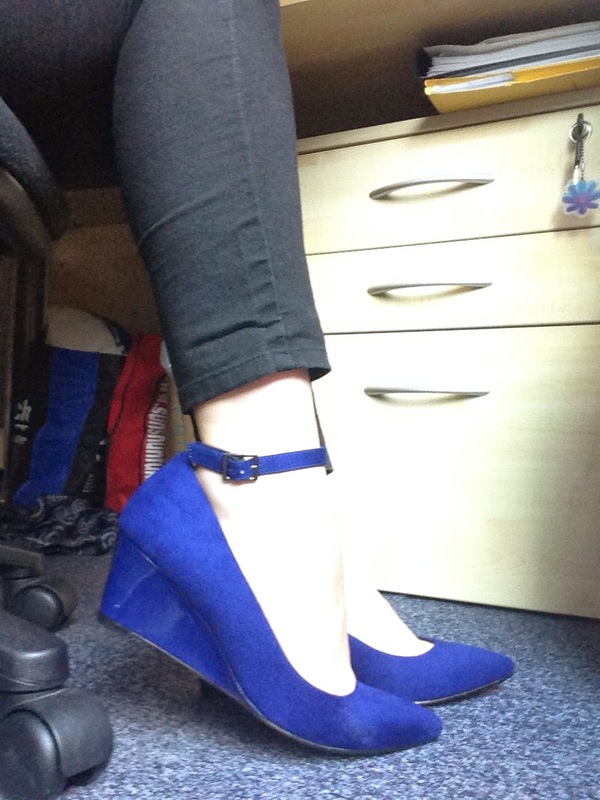 Heels are half wedges so not too high, very easy to walk in, almost as comfy as wearing flat. The heels also elongate legs, which is very flattering. 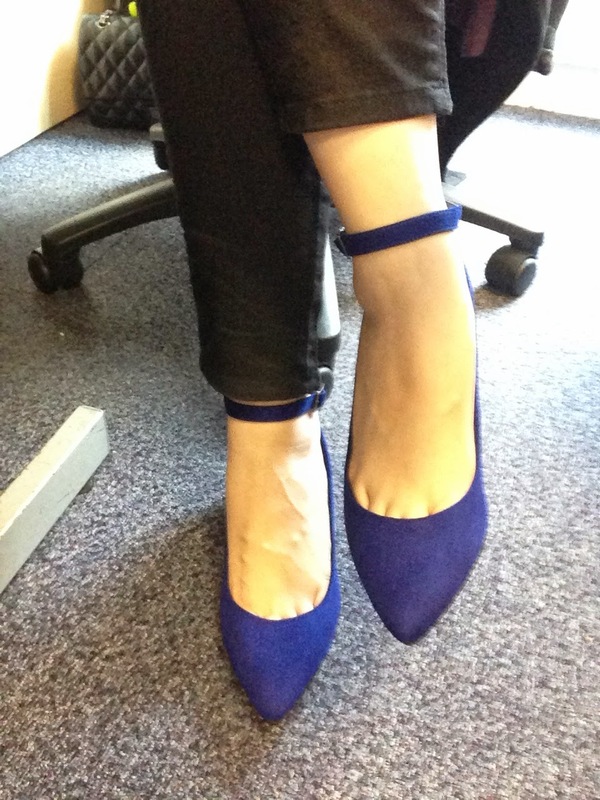 I love the royal blue, it gives a pop of colour yet not too loud. I love the ankle strap buckle, it makes my ankles look slim. They are great to team up with jeans or a dress. Very chic to wear to work and at the weekends. 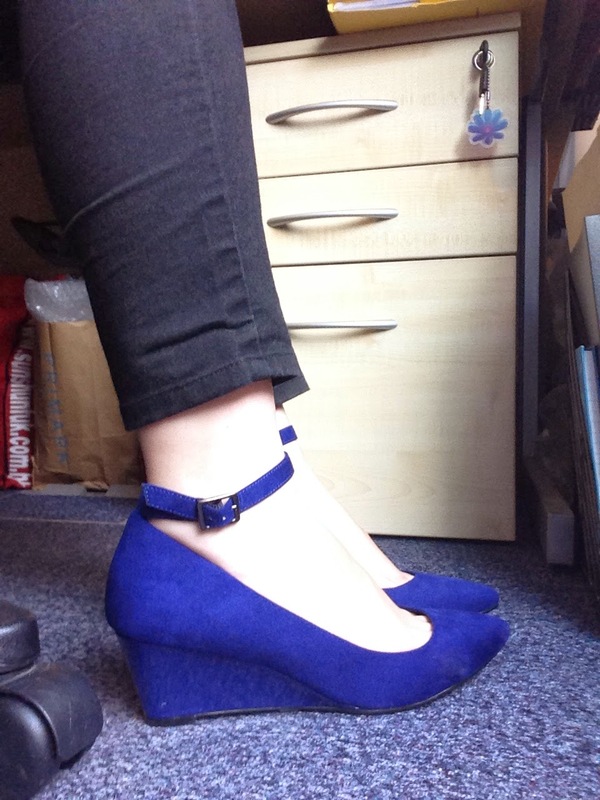 Reasonably priced at £25, the shoes look much more expensive than that. Boxes - tick, tick, tick!! I love them so much that I have already ordered the black version online!